Rosenblatt Securities' Jun Zhang has jumped on reports that Apple is allegedly reducing production of the iPhone XR within weeks of its release, warning of further production cuts and possible supply issues over the quality of printed circuit boards. In his latest note to investors seen by AppleInsider, analyst Zhang writes the firm believes "the iPhone XR sell-through rate continues to be weaker than we initially expected." This weak demand may cause Apple to start "another round of iPhone XR production cuts" in the fourth calendar quarter. "We believe Apple may reduce production for the iPhone XR by an additional 4-5 million units for C4Q," insists Zhang, while also suggesting production of the iPhone X will increase by 1 million to 2 million units due to carrier promotions for the holiday season. Zhang's claim follows after a report on Monday said Apple was cancelling plans with Foxconn and Pegatron to expand manufacturing of the iPhone XR, with Foxconn using only 45 production lines despite preparing nearly 60 in anticipation of demand. The changes allegedly mean Foxconn will produce around 100,000 fewer units per day than originally planned. Doubling down on the reduction claims, the note suggests "component pull-ins" are slowing this week. It is believed some PCB supplier shipments for HDI boards were "quickly dropped," which could be attributed to quality issues from supplier Skyworks. "We believe this potential round of iPhone XR production cuts by Apple may be attributable to the recently found PA quality issues," the note advises. Adding that it is "rare" for Apple to make dramatic production changes before the holiday season, Rosenblatt suspects component inventory levels are not as high as they normally would be at this time. The firm states it will continue to monitor iPhone holiday season sell-through rates to determine if the supposed production cuts are more due to quality issues or "if Apple is taking a more conservative approach to prepare for further softness in demand." The new investor note is a continuation of Zhang's pessimism over Apple's latest smartphone launches. During the launch of the iPhone XS and iPhone XS Max, Zhang claimed the opening weekend sales for the iPhone XS were "weak" and predicting the overall sales of the two models to be lower than total iPhone X sales over a two-month period, despite claiming sales for the new models over the weekend were higher than the iPhone X equivalent. 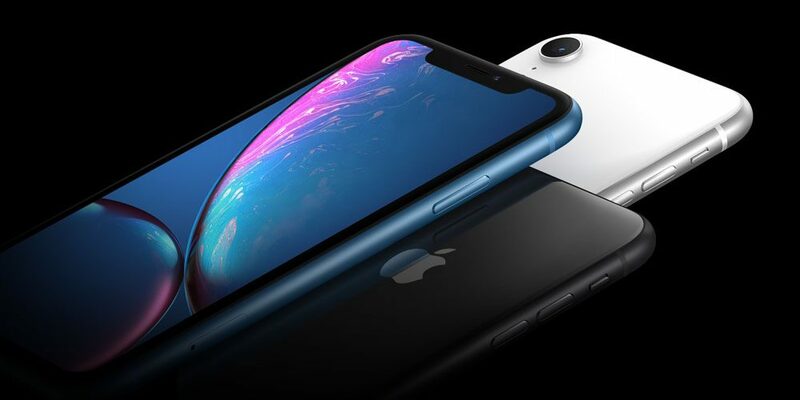 In October, Zhang suggested the pre-orders for the iPhone XR outpaced the iPhone XS and XS Max, but still believed the initial sales of the model were weaker than expected after just one day of preorders. For the opening weekend, he highlighted "slowing demand" and "weak preorders," as well as the nine million units sold being a full million below his expectations, as being reasons to believe Apple would start reducing production of the iPhone XS and iPhone XR by a combined six million units by the end of 2018. Rosenblatt downgraded Apple's stock from Buy to Neutral on Friday, which, along with a similar move by Bank of America Merrill Lynch, may have contributed to concerned investors offloading their shares. It also followed Apple's quarterly results which revealed 46.9 million iPhones were shipped in the three-month period, just 200,000 more than the same period last year, but still increasing iPhone revenue year-on-year from $28.8 billion to $37.2 billion.